Nothing like you expected, but everything you were looking for. Around this time in the summer, sorority women everywhere are busy picking out outfits, practicing their conversational skills, and reflecting on everything their organization has given them, all in preparation for formal recruitment in the fall. I went through formal, values-based recruitment Fall of my freshmen year, almost two years ago, and I can honestly say it's been one of the best decision I've ever made. Going through recruitment as a freshman was a great way to meet so many amazing young women, and learn about each sorority on my campus. This will be my first year being on the other side of the recruitment process, since I missed recruitment last year while I was studying abroad, and I am so excited to share my love for my sorority, Kappa Delta, with each potential new member I'm lucky enough to meet. 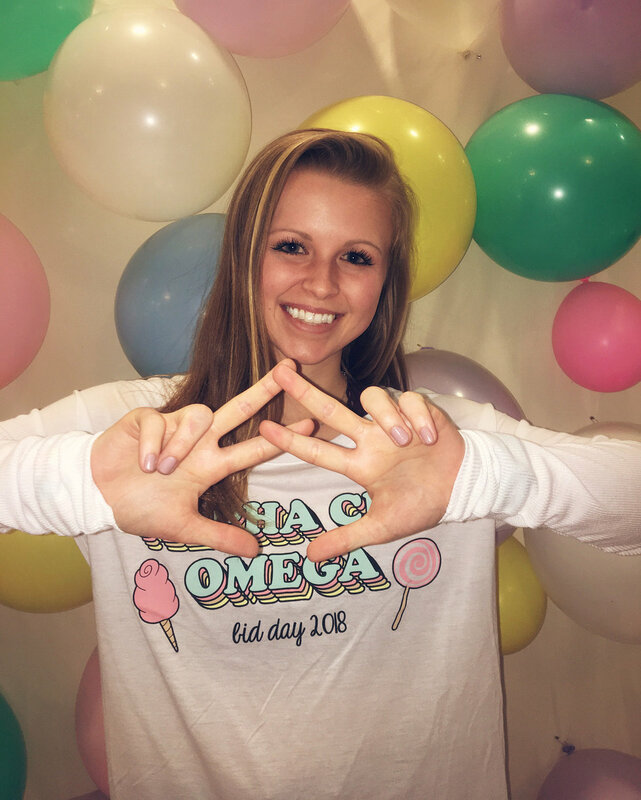 In the spirit of going Greek, I decided to reach out to eleven of my friends in different sororities, at different schools and of different ages to hear about their sorority experiences and why they decided to go through recruitment in the first place. 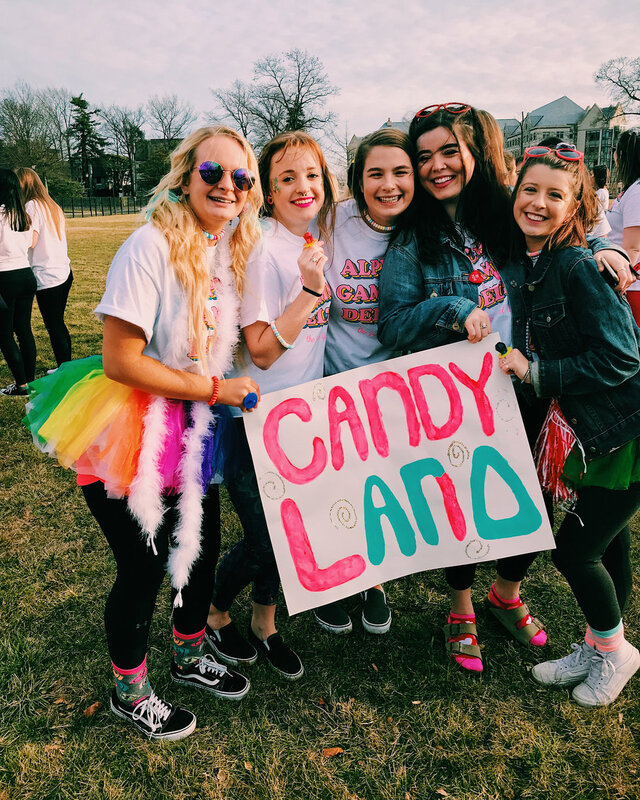 They're all very different, and some were even pretty hesitant about sorority life but decided to trust the process and found their home. Their answers brought a smile to my face with each new response so I thought I'd share them, keep reading to see what they said! I went through recruitment to join a community and make my large state school feel a bit smaller. I wanted to be involved on campus and have opportunities for leadership roles, and this seemed like the best way to do that. SO HAPPY. I loved my chapter and all the opportunities that came from it. I was able to be on the executive board and actually landed an incredible job right out of college because of it! My interviewer was president of her sorority and we really bonded over the experience. After I was hired, she later told me that my experiences really set me apart! I am super happy with my decision! Being in my organization I have met my new roommate and my best friend. I also have been able to get more involved in campus activities. The best part is they have pushed me to be something more, I have been exposed to many things that I would have probably never done and it has given me many opportunities that can help me in the future. I went to a school in another state and had no friends my first day on campus. I was in honors college and I was already making friends in there, but I wanted to broaden my horizons and be apart of an organization that cares so much about each other and the community around it. I was the first member of my family in Greek life so it was something I was going into kinda blind and I was not completely sure I would fit in, but I wanted to try. I am still very happy with my decision. I have made lifelong friends that support me when I need it and help me celebrate life. Greek life has also helped me make connections not just within my chapter. 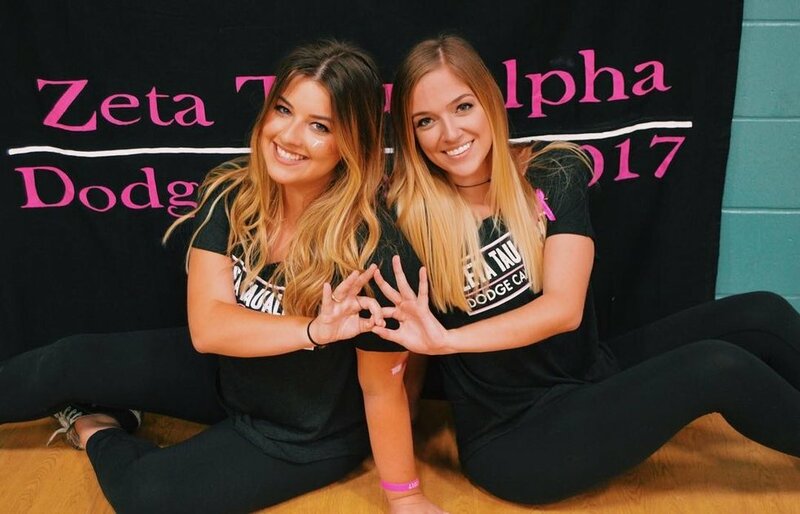 I have made friends with girls in other organizations on campus and I have made connections outside of my university through Sigma Kappa that have helped guide me in my professional career. 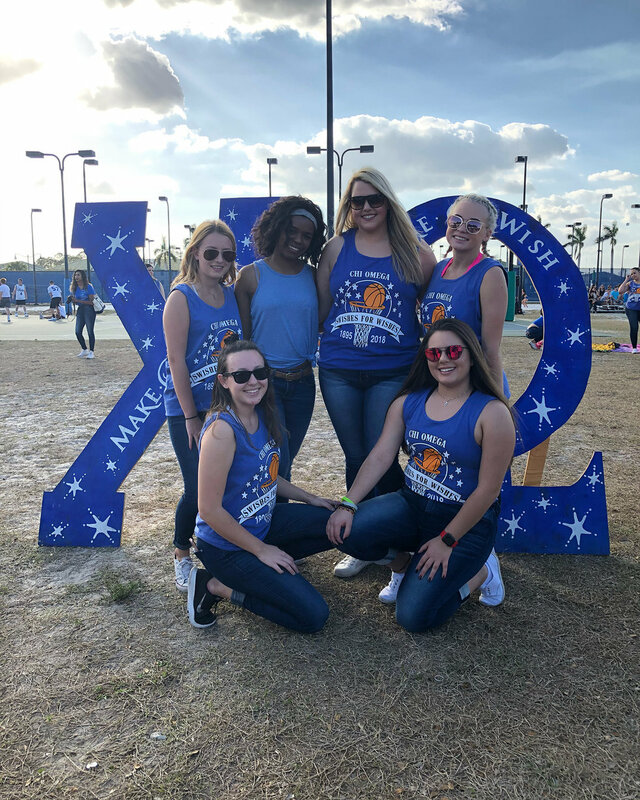 I have been able to serve my community through my sorority and it has helped me make a change in the world with the money we have raised for Alzheimer's. Greek life is what you make it and I chose to make it a wonderful experience filled with service and friendships. I went through recruitment to make lifelong friendships and to get involved on campus as soon as possible! I'm so happy with my decision! I not only fell in love with my chapter but with the Panhellenic community. I have grown as a leader inside and outside of my chapter. I have found the friendships I was looking for and have grown a passion for St.Jude! I decided to go through recruitment because all of my roommates were in sororities and I felt like I was missing out! I wanted a chance to meet new people and be involved in something more social. I am totally happy with my decision! 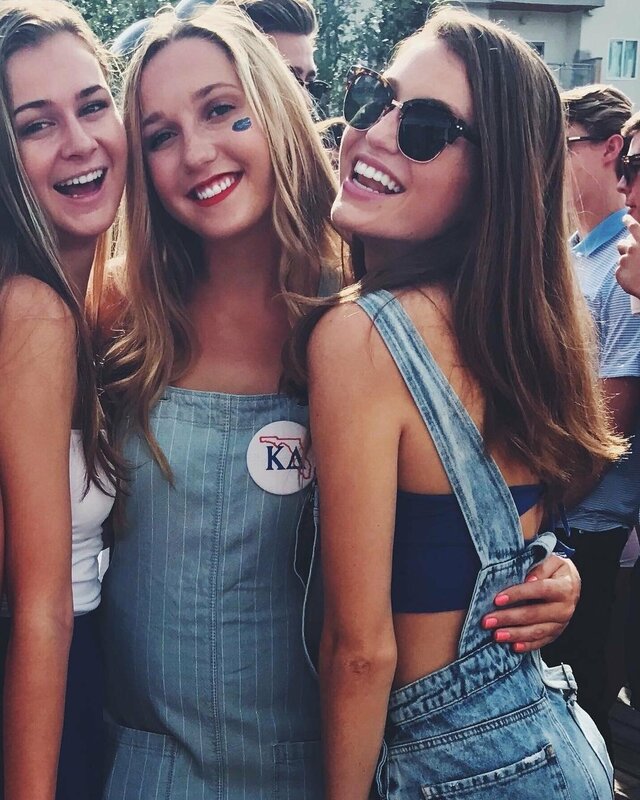 I've met so many great people in my sorority (and others!) and wouldn't change anything. I've been much more involved on campus and have had so many opportunities to serve my community. I kinda decided to go through recruitment on a whim. I signed up my freshman year and never went through with it because I thought I only wanted to do it because that's what girls did. I spent the year thinking about it and decided that there's never any harm in trying and I have nothing to lose from at least a putting myself out there. I am extremely happy that I went through with recruitment. I found a place that I can call home (as cheesy as that sounds), and that the girls wanted me to be apart of their chapter. Sometimes it's really easy to feel like a face in a crowd and going through with this process made me feel seen and appreciated for who I am as a person and what I'm able to contribute to such an amazing organization. Going to a large university I wanted to find a group of girls that shared common interests and could help make the school feel more like home. I could not be happier with my decision and can say I've found some of my best friends, as well as a way to stay connected in my community. I was never interested in Greek life until I realized the opportunity for philanthropy and growth! I couldn't be happier with my decision! I have grown so much in the last two years. I couldn't have imagined myself where I am at this point. I went through recruitment because growing up I always knew I wanted to join a sisterhood. 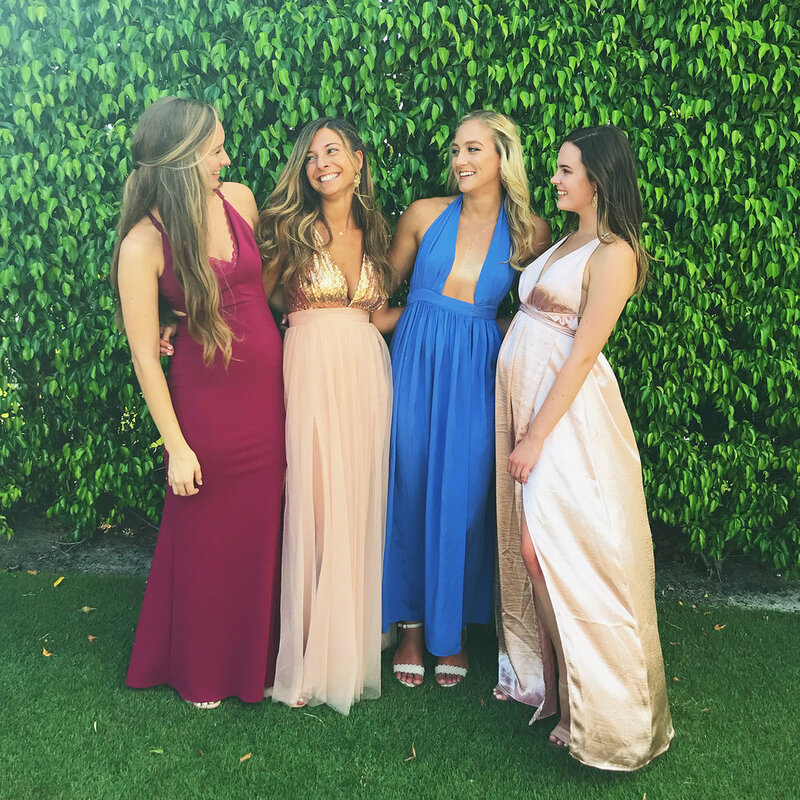 I went to an all-girls high school so I thought joining a sorority would be my home away from home since I was so used to always being with a group of girls. I am beyond happy with my decision, not only do I love our philanthropy of breast cancer education and awareness, but I truly have met my best friends through my sorority. I decided to go through recruitment because I was always struggling with finding MY girl gang. A group of women, including myself, with similar values and a desire to embrace their individuality and confidence. I wanted to find this through recruitment. I knew a values-based recruitment would give me exactly that and that is why I gave it a chance. I have never been so proud to stand true to my letters and do it alongside my sisters. I am so happy but I can see our chapter do so much more and I see that every day. So, with progress, my happiness has flourished unconditionally from my time as a new member to now. I have never regretted my decision and I will never regret my decision. My chapter really is forever. You'll never regret trying. Giving it a chance will help you understand what our community has to offer. If it's not for you that is okay but if it is you will gain something that will mold you into a sorority woman that you never dreamed you would be. The next sorority woman I talked to told me a little more about her story. 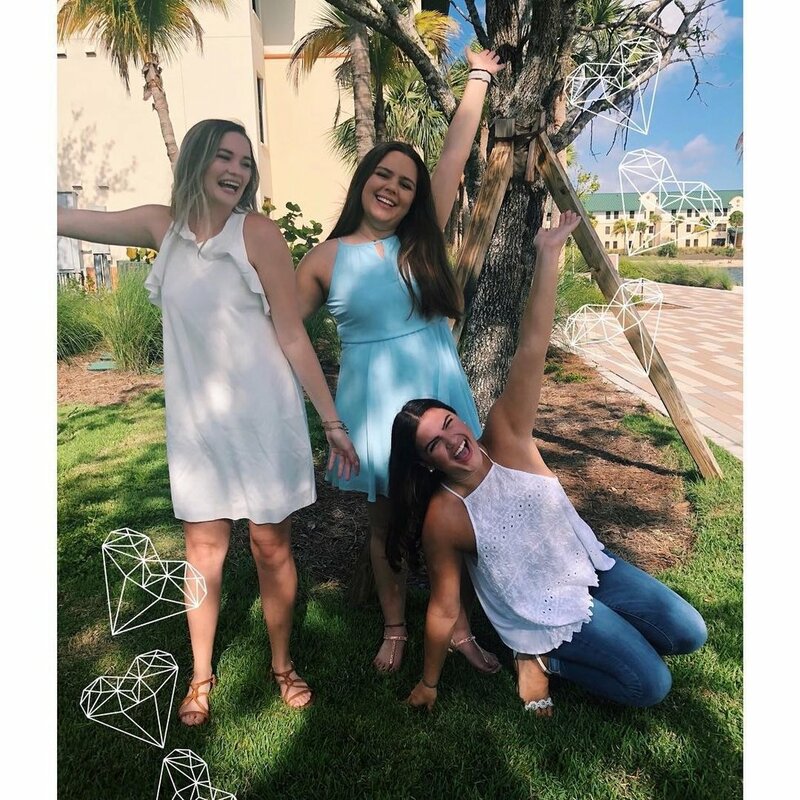 She said that we waited until her sophomore year to go through recruitment, partly because she "chickened out" her freshmen year, but mostly because she was worried srat life wasn't for her and that she wouldn't fit in. She also explained to me that she wanted to expand her horizons, have many different friends in different clubs and organizations she eventually joined. 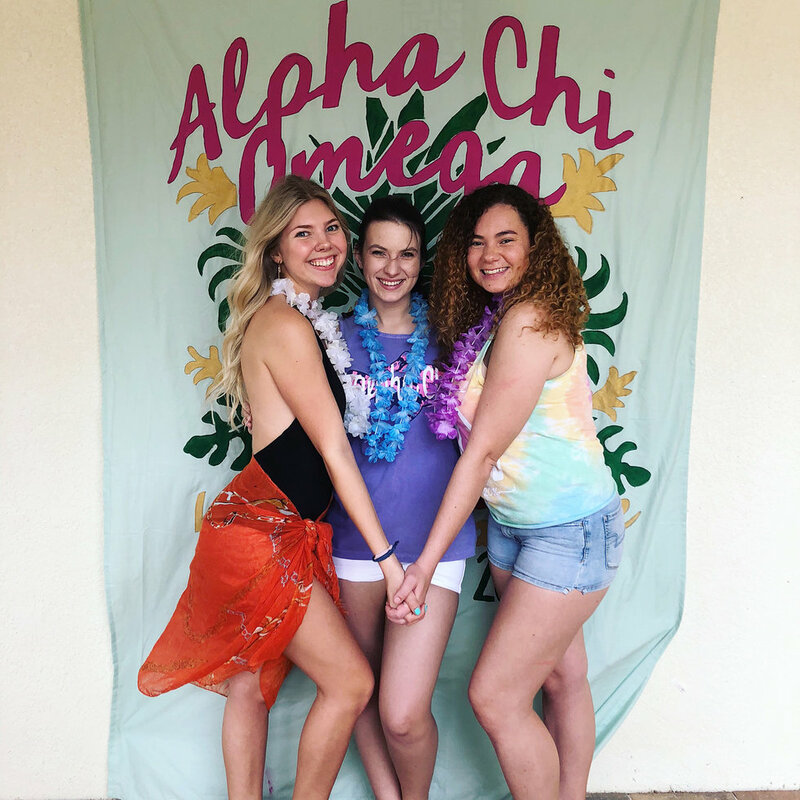 When sophomore year came around she decided to go through recruitment and she said all of the growth she went through freshman year lead her to the sorority that she was meant to be in. 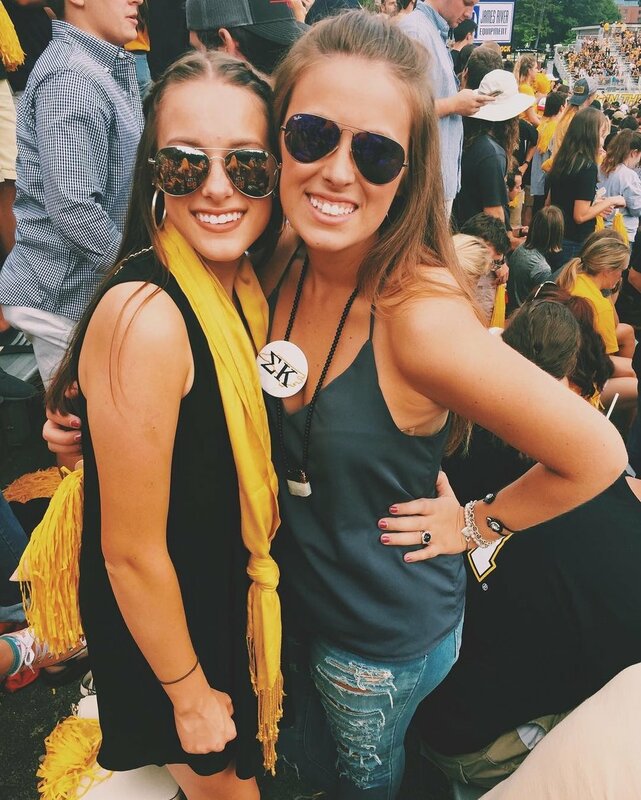 She ran home to the girl who would turn out to be her G Big, and best friend. I decided to go through recruitment because back home I had a strong group of girls that always had my back. In college, I made some wonderful friends freshman year but I missed having a core group of girls, instead of a just few best friends. I have always been a girl's girl and love hanging out and learning from each other. My sister is my best friend and I wanted to have and make more sisters in college that could help me get through the next couple of years. Yes, I am happy with my decisions. It hasn't always been easy and I haven't always been happiest sitting in chapter every Sunday when I have homework to finish, had a rough day or just need a nap. However, I think that you get what you put into sorority life. I wasn't on council or super involved in recruitment, but I put my everything in with the friendships with sisters I had in my chapter. My best friend is a girl that I met on a random breakfast date during temp big week. She kept me together during the hardest couple of months of my life during senior year. She's always there for me and she knows I'll always be there for her. My little and I always have each other's backs. We make each other laugh all the time, sometimes we disagree, but we always give wah other the best advice. She's such a joy in my life and we wouldn't have met if I wasn't in Kappa Delta. My family, including my G and G little, always make my day brighter. I can honestly say I wouldn't have had the college experience I had without these girls. 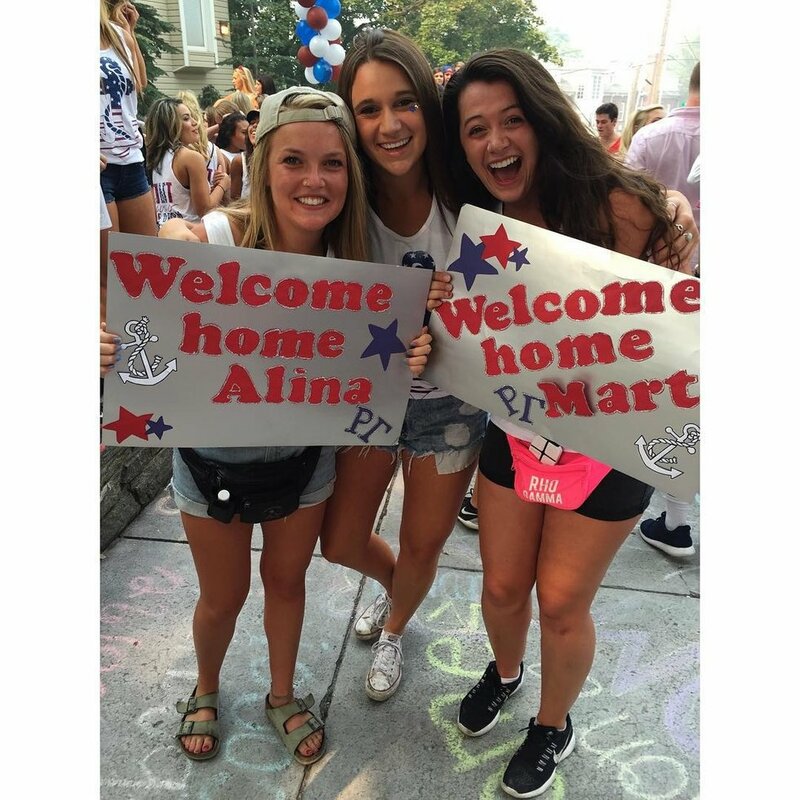 If you're someone who's on the fence about going through recruitment, just remember that it never hurts to try something new, no matter who you are or what year you're in, there's a home for everyone, and you will be loved. Great women go Greek, sign up for Panhellenic recruitment today! The perks behind having to wait. When choosing a place to attend college, there are lots of things you look at. These things also depend on what type of person you are. I had somewhat known I wanted to rush and was really upset when I learned that Miami University doesn't rush until second semester. I knew I was going far away from home where I wouldn't know anyone. The thought of having to make friends all on my own during first semester without the help of a sorority was scary to me. Looking back, I wish someone would've told me how it would come to make a world of difference. My school has a large Greek community. When I first got here, it seemed like that was all any freshman girls would ever talk about. "Are you thinking of rushing?" or, "Do you know any older girls in a sorority?" After a while, it all subsided, but the first few weeks felt like I would never make any friends. Luckily, not being in a sorority yet really forced me to step out of my comfort zone, and I wasn't the only one doing this. The beginning of freshman year is actually the easiest time to make friends in my opinion. No one really knows anyone, so most people are pretty nice and open. This is the time that I found some of my best friends, people I can honestly see standing up in my wedding years from now. I met five girls that first semester of freshman year who I still talk to every single day almost three years later. Not having rush or being in a sorority as a safety net was actually a blessing in disguise. I found these amazing girls to hang out with, which made the transition into school and being far away so much easier than I expected. When first semester came to a close, we all went through rush, and the even better part was that we all ended up in different sororities. At first, this too seemed scary because now we were used to the comfort of having each other. We quickly realized that this made our friendship even stronger and honestly way more fun. We got to attend each other's parties and meet each other's new friends. 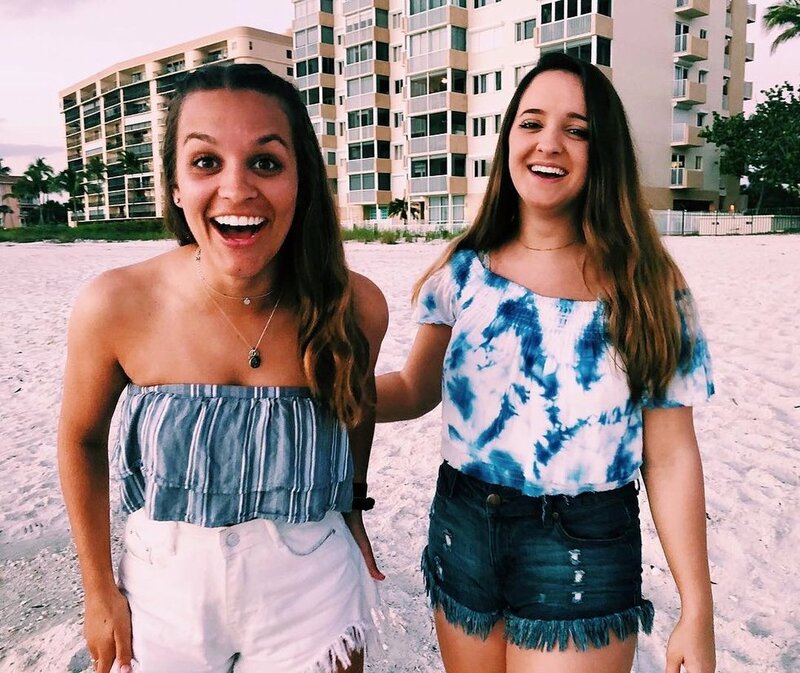 It suddenly felt like there was constantly something to do, whether that was hanging with our new sorority sisters or our "freshman year friends," as we like to call each other. It's been refreshing to have a little bit of both worlds. It has provided me so much peace knowing that I always have someone to fall on if there's a little bit of drama in one group or the other. Now at the end of my junior year, I look back on all the memories we've made together, cherishing the fact that we've all still kept in touch. We don't see each other as often now that we're more involved in our separate sororities, but it's OK because when we do get together, it is constant laughs. I'm not sure if I would be as close to my "freshman year friends" or even have them if my school had done rush first semester of freshman year. I'm sure you can make just as good of friends if you rush right away, but if your sorority isn't for you, then it might be a bit harder. Regardless, I am so thankful to have found the girls that I did. I encourage any shy and nervous freshman girl to step out of her comfort zone...it'll make all the difference.